Lord, today we pray for Somalia, on the brink of severe famine. We pray for intervention of two kinds: directly from you, and through your children. Lord, please send rain to Somalia. We pray for farmers to find success. We pray for special strength and support for, first, the children of Somalia, who are suffering malnutrition on a massive scale. Next, we pray for the animals of Somalia, three-quarters of which have already perished. Give them extra strength and resourcefulness in surviving. This is very related to the second kind of intervention we request: Lord, move in the hearts of your people--and even those who do not follow you--to intervene in this situation. We pray for governments, NGOs and individuals to do their part to prevent catastrophe. May Somalia's new president have great effectiveness in building an infrastructure and leading his nation through crisis. May others send the type of aid most needed, and may they send it with the most effective timing and means. 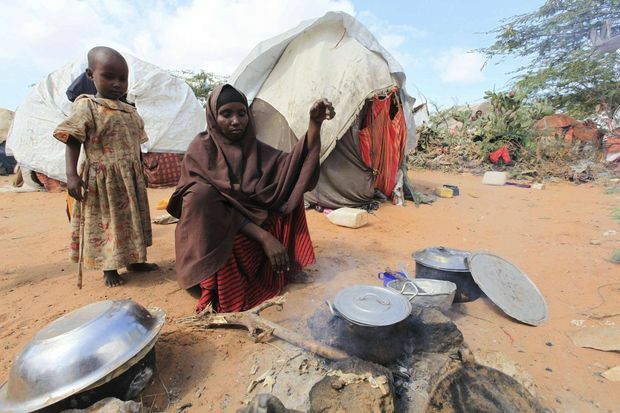 May we band together to prevent a repeat of the devastating famine Somalia experienced in 2011. In Jesus' name we pray, amen.